Another large step was taken in Volkswagen of America’s quest to resolve the TDI issue with their consumers. An agreement has been met and it has been place in the hands of the court for approval by late July. There are several layers and resolutions outlined in the documents including buyback programs and updating emissions problems. Since the documents were filed with a court, they are now public record and can be viewed at the website linked below. This issue is still ongoing, but Stohlman Automotive will stay on top of this and pass along any information that we receive dealing with Volkswagen of America’s TDI issue. Volkswagen appeared before the US District Court Judge Charles Breyer regarding the TDI emissions issue. It was announced that both parties had reached certain agreements in principle to resolve the matters relating to the 2.0L TDI vehicles. While these agreements are kept confidential, we want to ensure that Volkswagen is continuing to work to earn back the public trust and make things right with their valued customers. For more information on the TDI Goodwill package, please read the update below from 4/21/16. Thanks! VW has extended the registration deadline for eligible 3.0L TDI customers until July 31st, 2016. Please visit https://www.vwdieselinfo.com/goodwill_package/ to see if you qualify for a TDI Goodwill Package and to sign up for your package. PLEASE REMEMBER… The program registration period ends April 30th, 2016 for all affected 2.0L TDI customers. Stohlman Automotive knows the seriousness of the VW TDI issue and that is why we want to keep our loyal customers ‘in the loop’ as much as possible. Volkswagen of America remains committed to resolving the U.S. regulatory investigations and to implementing an approved solution for affected vehicles as quickly as possible. This past week, Volkswagen appeared before U.S. District Court Judge Charles Breyer, who presides over the civil lawsuits pending in the Multi-District Litigation (MDL) in San Francisco. In the hearing, Judge Breyer noted his understanding that “substantial progress” had been made toward resolving these issues and that the parties had been “working diligently“ in determining remedies for all 2.0L and 3.0L TDI vehicles affected by the emissions issue. Judge Breyer has asked the parties to report back to the Court on April 21, 2016 with specifics. Please know that although this work is taking some time, Volkswagen of America is not standing by idle — there is work being done day and night to address these issues. And as soon as we have more information that we can share with you, we will do so. UPDATE: Volkswagen Group of America is still working towards a permanent fix for the TDI issues that occurred last year. 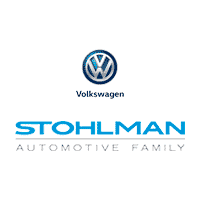 Stohlman VW will relay any information we receive on the TDI issue to our valued customers. Stohlman VW wants to thank everybody who has claimed their $1,000 gift cards and want to encourage everyone who hasn’t to follow the instructions below. We would like to extend a heartfelt apology for the recent problems that have surfaced with the TDI vehicles manufactured by Volkswagen. VW of America has decided to give out $1,000 gift cards to specific customers affected by the TDI problems. You should have already received communication from Volkswagen about the gift card. If you have not and you believe the TDI problem applies to yourself, please call the customer care number below. Thank you, again, for your understanding. Please call customer care at (800)822-8987 or email vwcustomercare@vw.com for more information. Original statement from Michael Horn, President & CEO of Volkswagen Group of America. As environmental protection and sustainability are among Volkswagen’s strategic corporate objectives, the Company takes this matter very seriously and is cooperating with the investigation. Volkswagen is committed to finding a remedy as soon as possible. We want to assure customers and owners of these models that their automobiles are safe to drive, and we are working to develop a remedy that will meet the expectations of the government agencies. Owners of these vehicles do not need to take any action at this time. Once we have information regarding a remedy, consumers will be notified. We understand that owners of the cars affected by the emissions compliance issues are upset. We ask our valued customers for their patience as we address this issue as quickly as we can. You may have noticed that we have stopped advertising our latest TDI models. We did this as an interim step while we seek the government approvals that will allow us to offer our 2.0L 4-cylinder TDI models for sale. Along with our parent company, Volkswagen AG, we are committed to do what must be done, and begin to restore your trust. We will share more information with you as it becomes available.